When I was a teenager I endured an eye injury which left permanent damage. As a result, I have a huge deficit in my peripheral vision, leaving me with a permanent blind spot. When I’m driving I’m extra cautious of this blind spot for fear that I may not see oncoming cars because of my deficit. My physical blind spot makes me think are there other blind spots in my life I’m not aware of? The funny thing about blind spots, is we can’t see them—then how do we detect them? One person in the Bible reminds me what can happen if we allow blind spots to go undetected. King David a man who went from a shepherd boy to warrior, to a commander, to a king—had a huge blind spot. David was known for his tremendous faith in God and had everything he could have ever wanted, wives, power, a kingdom, wealth, victories, a palace, even the anointing of God (1 Sam. 16:13). These are the times when blind spots can get the best of us. In 2 Samuel 11:2, David merely got up in the night, walked around on his roof probably just to get some fresh air, when he saw a beautiful woman bathing. David was so intrigued by this woman he sent someone to inquire about her to find out her name was Bathsheba and was married to Uriah one of his commanders. He then sent a messenger to get her, she came to him and he slept with her (2 Sam. 11:3-4). Needless to say, David had a huge blind spot in his life. His blind spot didn’t allow him to see he was flirting with seduction that brought him to the edge of a very slippery slope. In that one action of inquiring about Bathsheba, David’s lustful blindspot caused him to commit adultery, lie, cover up his lie by murdering Bathsheba’s husband and stealing someone else’s wife. He ended up breaking 4 out of the 10 commandments and displeased the Lord (2 Sam. 11:27). We can only speculate, but what if David at that moment he saw Bathsheba stopped to pray before responding out of his lustful desires? I think his situation would have been drastically different. David eventually asked for forgiveness but not until God sent the Prophet Nathan to talk some sense into him (2 Sam 12:1,13). Nathan used a striking parable about a rich and poor man to reveal the atrocity of David’s actions (2 Sam. 12:1-5). It wasn’t until Nathan spoke the truth in love (Eph. 4:15) to David that his eyes were open to his secretive evil deeds and shed light on his blind spot. Can you imagine the amount of courage it took Nathan to boldly come before King David, one of the most powerful men at the time? Nathan could have been killed for being so bold. Nathan knew David was a man after God’s own heart (1 Sam. 13:14) who had a blind spot. But God gave Nathan the wisdom to use the parable to lovingly speak the truth to David, so his blindspot wouldn’t destroy him again. Our blind spots leave a door open for the enemy who prowls around like a roaring lion looking for someone to devour, to get into our lives (1 Peter 5:8). How can we detect blindspots? By seeking God in prayer and asking Him to reveal our blind spots. By allowing others to speak the truth in love into our lives—so our blind spots can be brought to our attention. We may not be able to see our blind spots, but God can. Our blind spots help us to constantly seek him for guidance and lead us straight on our paths. Are there blind spots in your life? We all have blind spots. Some of us might have blind spots in our finances, with self-control or in how we treat others. They may not all be the same but it is a part of our human nature not to be able to see everything that God sees. When we can’t see, God is the light on our paths. Do you have a Nathan in your life that you allow to speak the truth into your life? I am afraid of where my blindspots can lead me if I don’t let others bring them to my attention. To stay alert and aware I ask God to reveal any blind spots and if there is anything in my life that is getting in the way of God. I ask Him to expose and my blind spots making them visible with His light—so that everything that is illuminated becomes a light” (Eph. 5:13). Imagine if David didn’t allow Nathan to bring his blind spot to his attention? I love how David allowed Nathan to speak truth into his life and didn’t allow his blindspot cause his downfall again. He surrendered it all to God and turned his sorrow into praise. God then used David to be apart of his greatest plan ever—the bloodline to Jesus. I also love how David dedicated the rest of his life to prayer by writing the most poetic prayers in the Psalms. I can’t help to think when David wrote Psalms 86 he was referring to the moment that almost destroyed him. Lord Jesus, please expose our blind spots with your light, so they don’t cause us to stand on slippery slopes. Help us to keep seeking you for discernment and wisdom when making choices and decisions. Help us to allow others to speak the truth in love into our lives. Help us to stay in your will and plan for our lives so we aren’t flirting with disaster. You are greater and able to see so much more than we can. Help us to trust in you even when we can’t see. We praise you, Lord. In Jesus name. Amen. This week will conclude our series on confessions. 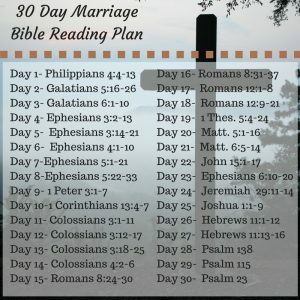 I hope this series has filled you with God’s truth. We can walk away from our comparisons of each other and rejoice in God’s truth for us in who He says we are. We don’t have to wait to be accepted by the world or for our circumstances to change, we are worthy and valuable just the way we are. He has a divine and specific purpose for each and every one of us. Whether we are called to be married, single, a working mom or a stay at home mom there is meaning a purpose in God’s calling for us. Here is an interview of a stay at home mom who shares her heart with us. How did you decide being a stay at home mom was God’s calling for you? Children are God’s greatest gift to us, their hearts are a mother’s classroom. Investing in our children reaps rewards that are immeasurable. What is the number one thing being a stay at home mom has taught you? Being a stay at home mom is a constant dying of oneself. It is a continual process of learning how to be selfless, learning how to be content no matter what and knowing I am still contributing to society even though I am inside the four walls of my home. Also learning how to find joy in every moment, the good and the bad. God teaches me through thankfulness. When we are thankful, then we are more likely to find joy in each moment, which is what God wants for us. What is the number one thing you struggle with as a stay at home mom? Isolation and not getting a break. Isolation can be the tool of the devil. It can be a downward spiral that gets out of control quickly. When I start to feel this way I know I need to pray and seek support of other moms who are going through the same thing. I try to be proactive in recognizing triggers which amplify my struggles such as getting out of routine (holidays), bad behavior or sickness. What did you do before you were a stay at home mom and how many years have you been a stay at home mom? How many children do you have? I used to work as an Early Intervention Speech Pathologist for five years before raising children. I have been a stay at home mom now for 9 years. I have 5 children, four boys (ages 2, 3, 7 and 9) and one baby girl. That’s very admiral, you possess a master’s degree and walked away from a career to raise children. What is the best advice you can give to other stay at home moms? Do the best you can with the knowledge you have now. The knowledge you have in the moment is enough to accomplish what God has planned for you. God has entrusted you with their lives, he has put your children in your care for a reason. God will continually equip you with what you need at every given time. He has chosen your family and has great plans for you and made each of us with a purpose. You don’t have to do something that is newsworthy or career savy to contribute to society. What you do inside of your home, is just as important as what you do outside of your home. We can support each other by not comparing and encouraging one another. What is your greatest reward you have received as a stay at home mom? God has called me to equip the next generation of warriors in his army with His armor, character, love, and grace. I can only do this when I lean on God for wisdom and peace and in humbleness, admiting I CANNOT do it alone. As mom’s we often fall into the trap of “I just need to keep going”. That is a red flag for I need a break, need help, or need to let go. God provides us with help in the form of His word, friends, family, spouses. Seek counsel of other women and pray hard! What do you do as a stay at home to get a break? I try to leave the house to get a break or escape to my craft room and work on a craft project. Sometimes the only break I get is going to a private room or outside to pray. Finding a positive outlet for feelings helps as well as leaning on God for His strength. Be proactive in communicating with spouse and children in calm, respectful way to express a need for breaks. Because if mama isn’t happy, ain’t nobody happy. It is a sad but true statement. Taking care of oneself will help the entire household–do so without feeling guilty. What are your favorite Bible verses that help you? “Train up a child in the way he should go, And when he is old he will not depart from it” (Proverbs 22:6). “Encourage one another build one another up” (1 Thessalonians 5:11). “In all work you are doing, work the best you can. Work as if you were doing it for the Lord, not for people” (Colossians 3:23). “Do everything in Love” (1 Corinthians 16:14). “Love must be sincere. Hate what is evil; cling to what is good. 10 Be devoted to one another in love. Honor one another above yourselves.11 Never be lacking in zeal, but keep your spiritual fervor, serving the Lord.12 Be joyful in hope, patient in affliction, faithful in prayer” (Romans 12:9-12). Being a stay at home mom is a busy 24/7 job that rarely gets recognized as being a job. Whether we are a working mom or one that stays at home, instead of judging or comparing ourselves and each other’s children, we can all be encouraging one another, because we are all apart of the same team (quote from Cindy Bultema)! God has called every one of us for a specific meaning a purpose. Carrying out God’s calling for you, gives your life more meaning and purpose than anything in this world. God has great plans for you. Do you know God’s calling for your life? If you are a stay at home mom please share how being a stay at home mom has impacted your life, So we can be encouraging one another! A special thank you to my twin sister for sharing her heart with us for this post! If you like this blogpost, Please share with others! Want more encouraging messages sent right to your inbox? Subscribe to my blog and receive a weekly Monday Message or like my Author Facebook page to catch the latest posts. Marriage is one of God’s greatest gifts. Yet sometimes marriage can not feel like much of a gift. It amazes me how God thinks of everything. He designed us to be in relationship with another so we wouldn’t be lonely, but also fulfill a greater purpose to be in a relationship with Him. We were challenged by our pastor this past week, to ask ourselves the question—Does your marriage possess a biblical love like God loves us? As a married couple of of over 15 years, we strive to love each other the way God loves us. However, we are not perfect and have flaws. There are times we don’t always get it right. We sometimes treat each other not so nicely and take things out on one another. This question made me think of those married in the Bible. What did they do in their not-so- lovely moments and what do these moments teach us? Did Adam and Eve’s argument continue on for days on end? Did Abraham and Sarah ever argue about infertility? Did Jacob and Rachel ever have unlovely moments? Unlovely moments make me think of Gomer (Hosea’s wife) and the Israelites when they strayed away from God. Gomer had become an adulteress and Israel was worshipping other gods besides God. I love how God teaches us about the power of His love in these unlikely moments. The Lord said to me, “Go, show your love to your wife again, though she is loved by another man and is an adulteress. Love her as the Lord loves the Israelites, though they turn to other gods and love the sacred raisin cakes” (Hosea 3:1). Hosea’s love saved his wife from a dead empty life of adultery and pagan worship. God’s love gave Israel a second chance for redemption and restoration. Just as God’s love was the key to redeem and restore the covenant relationship with Israel, Hosea’s love (a biblical love) was the key to redeem and restore the covenant of his marriage to Gomer (Hosea 3). Unimaginable! We all have unlovely moments. Oh how I have been unlovely before. I want to be loved even in my unloveliness. God used Hosea (which means salvation) to show us what happens when we love and accept others in the face of unloveliness. By Homer choosing to love and forgive his adulterous wife Gomer, he wasn’t condoning or accepting her sin—he was obeying God allowing an opportunity for His redemption. Even in Gomer’s not-so-lovely choices, God called Hosea to love her. God uses these unlovely moments to teach us so much. Loving and accepting each other in ugly moments allows grace to fill the unloveliness with God's redemption and restoration (Click to Tweet)Click To Tweet. God shows me that when I seek him, He is able to turn my unlovely moments into something so much better than I ever can. There will always be an unlovely moment. How will we respond? With Love. God’s love makes our marriages perfect and complete in Him. In God’s love we lack nothing (Colossians 2:10). The enemy would like nothing more than to divide our marriages by magnifying our unloveliness to each other. Choosing God’s love in the face of unloveliness, invites God to build long lasting marriages rooted in His biblical love for us. Thank you Jesus for the wonderful gift of marriage. Thank you for loving me in my unloveliness. Thank you for teaching us so much about ourselves and our marriages in these moments. Thank you for showing me it may take forever before we get it right, but that’s okay. Help us to seek you God in our not so lovely moments and stay rooted in your biblical love for us. Your love never fails. I praise you God, in Jesus name, Amen. How will you choose love in the face of unloveliness? What have unlovely moments taught you? If you like this blogpost, Please share with others! Want more encouraging messages sent right to your inbox? Subscribe to my blog and receive a FREE E-book “The Jericho Prayer” and a weekly Monday Message or like my Author Facebook page to catch the latest posts. In case you missed it here is the 4 part series of Confessions: Confessions of a Stay at Home Mom, Confessions of a Skinny Girl, Confessions of a Working Mom. 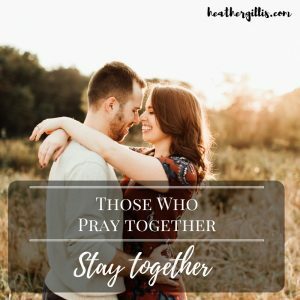 A Marriage Prayer- Pray this verse together this week. I pray our love is patient, it will always be kind. I pray it will never envy nor boast that it will be ridden of any pride. I pray our love for each other will never be rude or self-seeking. I pray our love will not be easily angered or keep a record of wrongs. I pray our love will never delight in evil but rejoice in the truth. I pray your love will be the center of our marriage and always protect, always trust, always hope and always perseveres. Your love never fails, Lord. Thank you for your faithfulness Lord. We know there is nothing greater than your love. I pray this in Jesus name, Amen.